If you're gonna go for the full-game path, I would recommend you can start at some point by searching a decent MvC2 screenpack where you can use the lifebars but you will also have to import all the hitsparks, hyper bgs and whatnot into the default fightfx.air and remove them from the fighters you intend putting to drop the .sff size of the fighter. I'll tell you this, it's not as easy as you think and this is coming from a user who's doing a full-game project. Beware the Dark Wolf once more! Thanks! anyway that step for now it´s not confirmed, and the full game that I want to do it´s with new style (lifebars, effects, sounds, etc..). my priority today is only to update all the characters that I released. 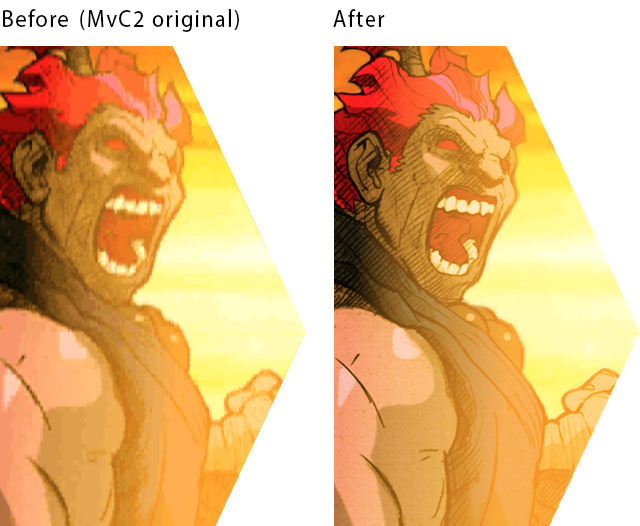 updating akuma and his CLSN Boxes exactly like in MvC2. Many thanks to Jesuszilla for this! 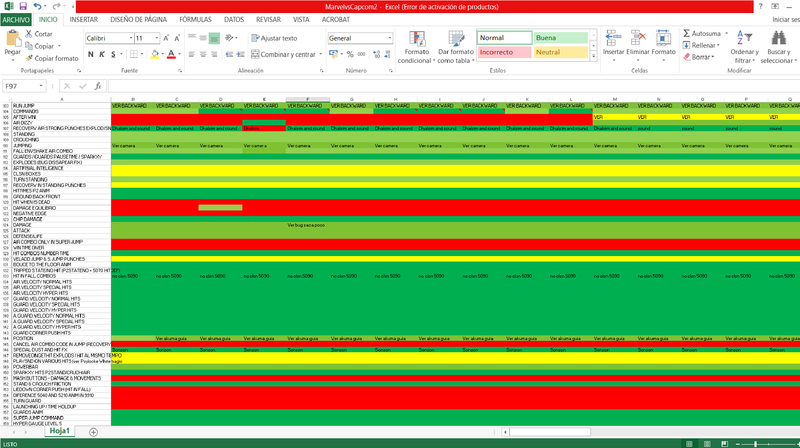 check a simple view of this excel file... this is a little part of my list.. all the things that are OK, incomplete or to fix.. (green ok, black green to check, yellow incomplete and red inexistent).. Many things to update, so stay tuned! Good luck, even though im not big on MVC I do admire what you did here and will be adding these guys to my roster. How can you approve me, but not approve me? The mediafire link to wolverine on your website does not work as it tells me it is generating a new download key for the file. The intent is to provide players with a sense of pride and accomplishment for unlocking different heroes. I guess I'll be holding off the AI patches until all fighters are updated then. Good luck with updating them. "Norimaro: ©Noritako Kinashi · Arrival/NTV"
I mention this because in the YouTube video descriptions for those in the MvC2 channel, there is a copyright notice for Strider Hiryu. You know, I never did quite understand how Strider has a unique copyright even with being a Capcom character. Can anyone fill me in on that? Strider marked the video game debut of Hiryu, a member of a secret group of ninjas known as the “Striders” shortly after the character's 1988 debut as the main character in a manga titled Strider Hiryu. Thanks, I´ll upload wolverine today in mega. The characters will be updated with AI too, I´ll see how this works when I have to do it, & thanks. Oh, thanks for that, I´ll put this in the site and the vids with Norimaro. 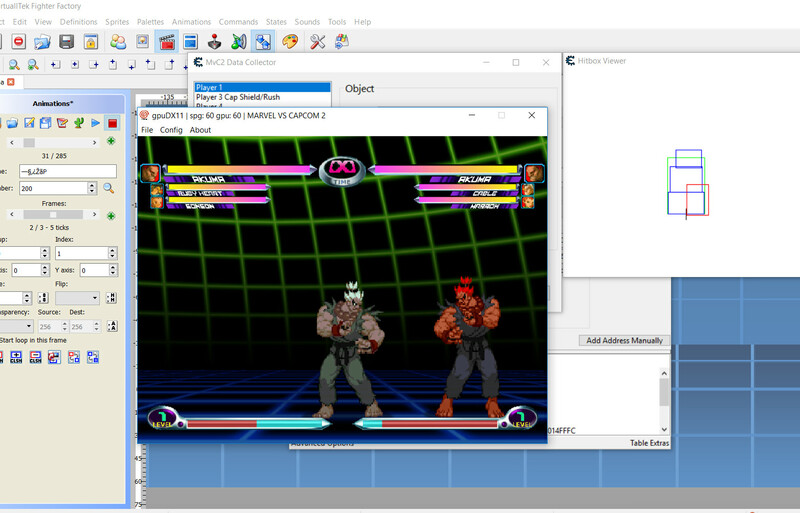 Redhot there is a way to download all the characters without any hitspark, or special effect from mvc2 attached? and/or those sparks and effects can be downloaded in a separated common file? I ask you this because i really dodn´t want to edit yours edits and prefer the oficial ones made by you in case for some updates. Don´t know how you coded the characters or if have some in common but in case my request is not possible, I let you know that I will do it on my own and upload the characters here, in any case with everything else intact if not mind you. edit: I see all have the same sparks numbers in common btw some has hyper finish bg in 320x240 while others have it in 640x480, i thonk the sound case is the same in common so it woould be more easy job. Hi, for now the hitsparks will be inside of all the characters, if you want to edit that, no prob, do it and upload here, for those that want to play like that. Hohohoooomg, what an incredible difference!